Leaving home for college with a severe to profound hearing loss was difficult. I graduated high school with high honors and had a lot of friends despite receiving only minimal support from my behind-the-ear hearing aids. The inadequacy of my devices, which provided only a “soft” introduction to sound, soon caught up to me when I began my undergraduate studies. I struggled to hear my professors, and I was overwhelmed by the amount of responsibility I was required to take on. Among my many classmates in large lecture halls, I felt invisible and became lazy about attending classes. I was unable to fully participate in conversations with others. In the first semester, I developed an ear infection that caused my right eardrum to burst. This immediately caused vertigo, which I wrote off as a one-time, horrible experience. I was in my dorm, where I remained on the floor for an hour until the world stopped spinning. It felt as if the floor had been ripped out from under me and nothing would be right ever again. I didn't throw up that first time, but I have thrown up nearly every time since. Over the next two years, I experienced vertigo with increasing frequency. Eventually I was having attacks every few days. Every vertigo episode seemed never ending. Once the spinning stopped, there was no relief; just a feeling of impending doom. My tinnitus―which already affected me throughout my life―became more pronounced than ever before. The incessant white noise sometimes makes me feel like I am trapped in a huge indoor stadium with thousands of people talking at once. I consulted an ENT at Mass Eye and Ear who administered three sets of vestibular tests, two MRIs, and multiple hearing tests over an 18-month period. Finally, at age 21, I received a Ménière's disease diagnosis and I searched and found a specialist at UMass Worcester for treatment. Being given a definitive reason for my debilitating vertigo brought immense relief. At last, I could give a name to the source of my misery and take appropriate doctor-directed measures. I reduced my sodium intake, kept my weight in check, and tried my best to reduce stress. I was prescribed a low dose of Klonopin (taken daily) and Ativan (when I felt an attack coming on), which I took diligently for nearly 3 years before I decided I would rather not be reliant on drugs for the rest of my life. I voluntarily gave up driving for 2 years, not knowing when an episode would hit. Klonopin allowed me to lead a somewhat normal life and kept my vertigo at bay. Taking that daily, I was able to go to my college classes most of the time and began to drive a car again. Weaning myself off of Klonopin was one of the most difficult things I’ve ever had to do. It took me 9 months, but my body was able to compensate for the change as I slowly took my reliance off the drug and onto my own vestibular system. I took up yoga, started running marathons, encouraged the positive relationships in my life to outweigh the negative ones, and have continued my low-sodium diet for over a decade. My life is infinitely better becoming consistent with these practices. At 23, I received a cochlear implant in my left ear at the recommendation of my audiologist. The day after my surgery, I had vertigo for 18 hours straight. Fortunately, I’ve never experienced something like that since. And, after getting my implant programmed and hearing my audiologist ask, “Can you hear me?” I knew it was the right decision. Cochlear implantation has enabled me to become more independent and, therefore, happier. I’m still excited by the new sounds I discover each day. I started running long distance when I was 29, and am hooked on how good running makes me feel. Since I’ve started, my vertigo happens far less than it ever did (only 3 or 4 times a year! ), and I know I am the one in control, instead of feeling as if Ménière's disease controls me. I’ve run 5 half marathons and 6 marathons, with my 7th in March in Washington, D.C. and 8th in June in Portland, OR. At this point I can say Ménière's disease and my initial negative experiences in undergraduate school have impacted my life for the better. Ménière's is a lonely condition but it’s forced me to become much more self-reliant―an important trait to finding both work and friends wherever I go, as I’ve moved around the country. Before I could depend on myself, I’d look to everyone else to try to do things just like them. In college, for example, I tried to listen and take notes at the same time during classes before realizing, at age 30, that I’m not able to learn the same way as someone with typical hearing. Once I realized that, my Masters degree was a breeze, and I was able to easily earn my 3.9 GPA. Ménière's disease does not affect all people the same way. Not everyone has the same symptoms so it can be difficult to diagnose. Also, there isn’t one specific treatment. If one method doesn’t help, then you need to try another. Be patient and realize you are stronger than you think. If I could, I’d tell my younger self―just after my Ménière's diagnosis―this: “You are stronger than you think you are.” The same goes for anyone becoming acquainted with the condition. I’d tell them, “You’re a champion.” I’m not yet a running champion; I have never placed in a race. Though I can run a marathon in under 4 hours, my dream is to reduce my time by 20 minutes to qualify for the Boston Marathon. There I can compete alongside some of the best runners in the world, doing what keeps me balanced, relying only on myself. Rose DuMont lives in Arizona where she works as a teacher of the deaf. She was diagnosed with hearing loss at age 5 and is a participant in HHF’s “Faces of Hearing Loss” project. Ménière's disease initially presented itself to me 20 years ago in a violent and unfortunate manner. I was 16 attending a New England boarding school when I experienced a vestibular (balance) episode, and it changed my health and life forever. I remember vividly the vertigo that, without warning, controlled me. I remember the incredible pressure and fullness in my ears and the overwhelming sense of nausea. Realizing I could not stand I sought refuge in my bed, where the sensation of spinning intensified and I vomited profusely. The school staff could only assume I was intoxicated and took disciplinary action. As I could not yet explain or understand that my behavior was caused by Ménière's disease, I had little recourse to justice. Faced by more unfair treatment, I left the school at the end of the academic year. For the remainder of high school, I continued to struggle with bouts of vertigo, dizziness, and imbalance. These symptoms impacted my athletic performance, my ability to concentrate on my schoolwork, and my general quality of life. It was a difficult and confusing time as I appeared fine on the outside but I was internally battling a miserable existence that I could not fully understand or control. That paradox has since defined my life. When I received a formal diagnosis, my thoughts, priorities, and routines obsessively revolved around managing my wellness. This new mindset made it difficult to relate to the life I once had or to the lives of those around me. I made great efforts to hide my symptoms and protect loved ones from the negative emotional and physical effects of my disease. I made excuses to avoid social events just because of my illness. Ménière's disease has repeatedly left me in states of hopeless despair. While it can be perceived as “strong” to persevere through one’s condition independently, I have learned this only leads to more isolation. Ménière's takes so much from its sufferers; it attacks their bodies, tests their spirits, and consumes their thoughts. This is why it is so important to reach out, be honest, and bring others into your world that you trust while you are living with Ménière's. Otherwise, you deprive yourself of not only your health but the relationships you deserve. The etiology of Ménière's disease remains scientifically disputed and I do not claim to have the answer. But I do know the condition does not respond well to stress. I’ve spent every day of my life carefully crafting my decisions and actions based on how my Ménière's may react. In the process, I’ve come to master handling and mitigating stress. In fact, at 30 I went back to school for a master’s in psychotherapy in part to study stress and the human mind. I now licensed psychotherapist, a career change inspired by my conversations with newly diagnosed Ménière's patients in the waiting room of my ear, nose, and throat doctor’s office. I have been fortunate to have had periods of relative remission with reduced vertigo. But there is a misconception that Ménière's just comes and goes, allowing the sufferer to return to normalcy in the interim. In reality, part of it is always there, be it the tinnitus, the difficulty hearing people in a crowded room, or the feeling the floor will start moving. There is always the uncertainty of what tomorrow will bring. Using mindfulness—a meditation technique that helps one maintain in the present without judgment—has been helpful in calming my anxiety. Mindfulness is especially useful when my tinnitus feels overwhelming, and I sometimes I combine the practice with music, a white noise machine, or masking using a hearing aid. I try to live my life in a manner in which Ménière's never wins. This disease will bring me to my knees—both literally and figuratively—but I just keep getting up. You can’t think your way out of this disease and spending all your time in a web of negative thoughts can be as toxic to your mind as Ménière's is to your inner ears. In my hopelessness, I try to stop my mind from plunging into the abyss and use every tool I can—making plans see friends and family, finding glimpses of joy in the midst of darkness, or being physically active. You have to retain some control when you feel like you have none. The only gift that Ménière's has given me is a level of introspection and awareness that I could not have attained in 10 lifetimes. It has stripped me down to my core and forced me to explore what is truly important and made me a better person. I don’t know who I would be without this disease, but I’m positive that person could not fathom the joy or gratitude I find in a moment of health. Anthony M. Costello, LMFT, lives in Byfield, Massachusetts with his wife, daughter, and 2 dogs. He has a private practice and specializes in helping others with chronic illness. For more, see www.costellopsychotherapy.com. Receive updates on life-changing hearing and balance research, resources, and personal stories by subscribing to HHF's free quarterly magazine and e-newsletter. My art is the fuel that ignites my passion for helping others. I use my art as a tool to create so that I can support the causes I believe in. Throughout my life, I have created several collections, for the most part biographical. To date, I've been blessed to have the opportunity to collaborate with animal welfare campaigns as well as education and health research initiatives. I am now proudly raising awareness about a particular cause that is dearest to my heart—hearing loss and vestibular (balance-related) disorders—after experiencing these conditions myself. On August 4, 2017, I woke up and noticed that the right side of my head was numb. I felt a strong pressure in my right ear and couldn’t hear anything as my ear felt blocked and full. It was really scary and very sudden. Since that day, I have been in and out the hospital trying to decipher what is wrong with me and how to cure it. My first audiology appointment showed a profound hearing loss in my right ear, and after steroids injected into the middle ear for two months, I was able to recover the ability to hear low frequencies. However, the high frequencies only improved to severe (from profound), which is why I now suffer from tinnitus and I am extremely sensitive to environmental sounds. My hearing loss was only the beginning. During the initial months, I also suffered from BPPV (benign paroxysmal positional vertigo), debilitating vertigo episodes, chronic migraines, constant nausea, and dizziness. My balance was completely off and I swayed to the right when walking. It felt like I was walking on quicksand. Another symptom that persisted for months was chronic fatigue, to the point that I could not get out of bed on certain days. My body felt heavy as if I had a slab of concrete on top of me. These “invisible conditions” can really affect patients an emotional level. I was completely isolated from the world, I didn’t want to see anyone, and I avoided phone calls and going out. I’ve always been a very independent person and the fact that I couldn’t do anything or go anywhere made me feel frustrated most of the time. My boyfriend Felipe, a communications professional and music producer, has been the greatest companion, helping me thrive and heal with his patience and love, and for that I am truly grateful. We share a passion for music and going to concerts, but from the time of my hearing loss I avoid loud places and crowds in general. I know music to him means as much as art to me, so I now wear custom musician’s earplugs. I am also investigating a hearing aid for my right ear, which my audiologist recommended after a recent tinnitus assessment to manage my tinnitus and sound sensitivity. Vestibular rehab therapy helped me regain my balance, as I had difficulty walking or even just standing still. And of course my art has been my most powerful coping mechanism. While I am in the process of creating, I can focus better and forget about my symptoms. Painting makes me ignore my tinnitus even for a short period of time. This experience has given me the opportunity to create awareness about invisible conditions. It is a fuel that continues to ignite my passion for the arts and for helping others. It has given me a sense of purpose—I truly feel the need to wake up and create something beautiful to deliver a powerful message of positivism in spite of my symptoms. In “The Colors of Sound” painting collection, I am trying to capture emotions and moods in sound. Using his recording equipment, Felipe showed me the range of frequencies that I was not able to hear anymore. It was a bizarre experience to be able to see the sound waves and frequencies that I could no longer hear. These ink paintings replicate the energy and movement of what was now missing. Behind every invisible illness there are wonderful individuals with the will to thrive and heal. Helping others has been incredibly therapeutic for me, and I gained so much support from people, too. I want to create a space for dialogue so people can be open about their conditions and find treatments and relief and know that they are not alone in this journey. Nicolle Cure is an artist based in Miami. “The Colors of Sound” appeared at Art Basel in Miami Beach (December 2017–February 2018). A better quality of life for Nicolle—and so many others—is dependent on research funding for HHF’s groundbreaking scientific programs. 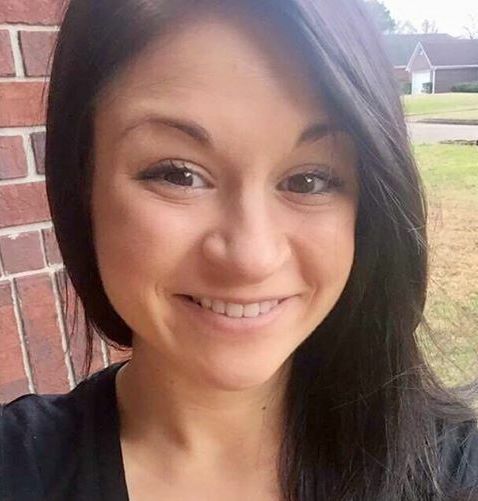 Please, if you are able, make a contribution to the research that will someday make it possible for Nicolle and millions of others to reclaim their independence. Hearing Health Foundation (HHF) unveiled today a new microsite dedicated to Ménière's disease, a chronic vestibular (inner ear) condition with no known cure. The content is accessible at www.menieresdisease.org as an extension of the foundation’s primary website, www.hhf.org. HHF’s www.menieresdisease.org seeks to build awareness of and bring clarity to the “mysterious” condition with simple, informative pages. The goals are to inspire hope among people who live with Ménière's disease and their loved ones, share updates about Ménière's disease from scientists funded by the foundation, and provide a channel through which individuals can donate to life-changing Ménière's disease research. HHF is fortunate to have all administrative expenses covered by its board of trustees and endowment, so 100% of gifts will directly support life-changing research programming. Ménière's disease affects approximately 600,000 people in the U.S. The most prominent symptoms include a sensation of ear fullness, dizziness, vertigo, nausea, fluctuating hearing loss, and tinnitus. Some patients benefit from treatments, but far too many remain completely debilitated, bedridden, and unable to work. Episodes of vertigo can strike at anytime without warning and this uncertainty offer triggers anxiety and depression. Ménière's disease has long been an area of interest for the HHF’s long standing research programs. Inspired by supporters with personal interests in Ménière's disease and gravely concerned by the general lack of research on the subject, HHF declared a greater focus on the condition in 2017 through the establishment of the Ménière's Disease Grants (MDG) program. MDG is exclusively focused on the etiology, diagnosis, and treatment of Ménière's disease. 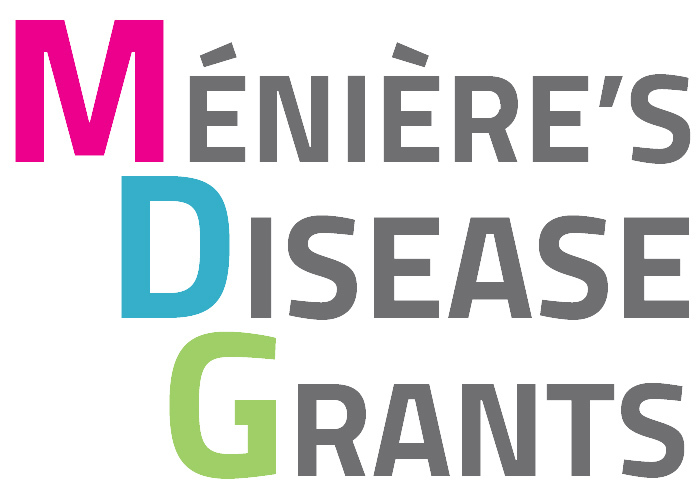 MDG awards scientists up to $125,000 for a two-year grant period is governed by the Ménière's Disease Advisory Board, comprised of senior researchers and physicians throughout the country who review each application for scientific merit and program relevance. 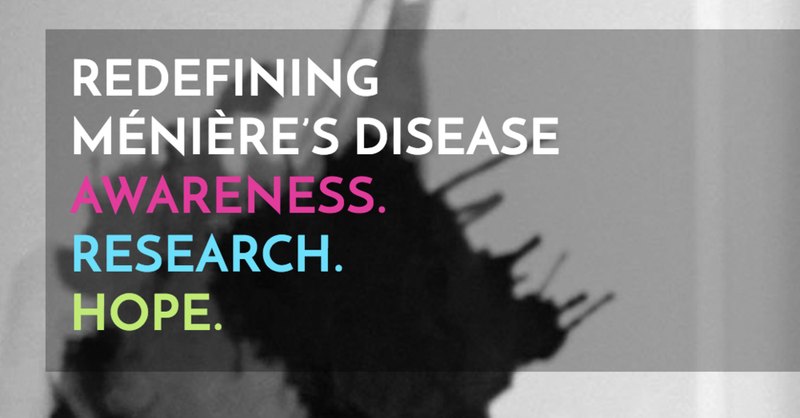 HHF encourages our supporters to visit www.menieresdisease.org to learn more about Ménière's disease and to share with friends, family, colleagues, neighbors, or others who may benefit from the reminder that they are not alone and find inspiration in the groundbreaking research that will one day transform lives. The inner ear senses sound to order to hear as well as sensing head movements in order to balance. Sounds or body movements create waves in the fluid within the ear. Specialized cells called hair cells, because of their thin hairlike projections, are submerged within this fluid. Hair cells bend in response to these waves, with channels that open in response to the bending. The makeup of the ear’s internal fluid is critical because as it flows through these channels its contents encode the information that becomes a biochemical and then a neural signal. The endolymphatic sac of the inner ear is thought to have important roles in stabilizing this fluid that is necessary for sensing sound and balance. This study helps unravel how a valve in the inner ear's endolymphatic sac acts to relieve fluid pressure, one key to understanding disorders affected by pressure abnormalities such as Ménière’s disease. While imaging transparent zebrafish, my team and I found a pressure-sensitive relief valve in the endolymphatic sac that periodically opens to release excess fluid, thus preventing the tearing of tissue. In our paper published in the journal eLife June 19, 2018, we describe how the relief valve is composed of physical barriers that open in response to pressure. The barriers consist of cells adhering to one another and thin overlapping cell projections that are continuously remodeling and periodically separating in response to pressure. The unexpected discovery of a physical relief valve in the ear emphasizes the need for further study into how organs control fluid pressure, volume, flow, and ion homeostasis (balance of ions) in development and disease. It suggests a new mechanism underlying several hearing and balance disorders characterized by pressure abnormalities, including Ménière’s disease. Here is a time-lapse video of the endolymphatic sac, with the sac labeled “pressure relief valve” at 0:40. 2017 Ménière’s Disease Grants scientist Ian A. Swinburne, Ph.D., is conducting research at Harvard Medical School. He was also a 2013 Emerging Research Grants recipient. Ian Swinburne, Ph.D., a 2018 Ménière's Disease Grant (MDG) recipient, shared his expertise regarding vertigo with Reader's Digest in an article called "What Causes Vertigo? 15 Things Neurologists Wish You Knew" published in March 2018. "The spinning, dizzying loss of balance which earmarks vertigo can come without warning," the article opens. Various professionals provide information about its duration, how it feels, and different types. HHF-funded Dr. Swinburne notes specifically that the inner ear and balance disorder Ménière's disease can cause vertigo. 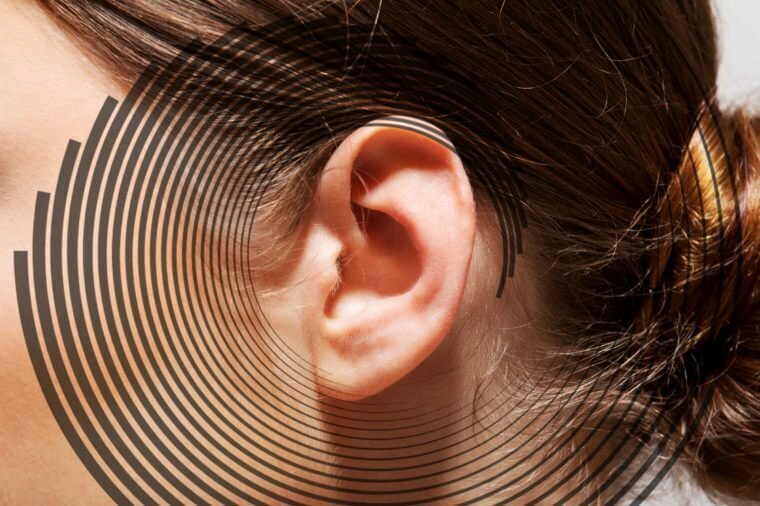 He explains that "[b]outs of vertigo likely arise in patients with Ménière's disease, because the inner ear's tissue tears from too much fluid pressure—causing the ear's internal environment to become abnormal.'" He is currently pursuing a research project to understand the inner ear stabilizes fluid composition, which he believes will help to identify ways to restore or elevate this function to mitigate or cure Ménière's disease. View the full article from Reader's Digest, here. I can still remember the beginning—it’s my earliest childhood memory. I was in the hallway of a house with my mom, my grandfather, and my brother when I started to feel weird, so I ducked into a walk-in closet to recover. Down on my hands and knees in the closet, the floor was caving in. I began falling in lightning speed, couldn't grab anything, and could only see bits and pieces of light. My surroundings were blurry. I was a four-year-old girl simply exploring the hallway of a house. That first memory was, in fact, my first ever full-blown episode of vertigo. I was taken to the hospital for my first of many tests and doctor's visits as a child. Vertigo was not on anyone’s radar, much less Ménière's disease for someone so young. I was misdiagnosed repeatedly, starting with potential brain tumors and neurological disorders. The dizzy spells continued throughout my childhood and became normal to me. Waking up some mornings and not being able to get out of bed was normal. Not being able to function with tall ceilings was normal. Sitting at church knowing that if I stood up from the pew to take about five steps I’d have an episode was normal. That sensation that starts out much like an anxiety attack, a sensation that I’d feel through my entire body before suddenly spinning uncontrollably, was normal. But it wasn't normal. I advocate for that little girl today because now I know the truth. It was a hard journey learning that I was different. I was homeschooled, so it wasn’t until around age eight when I realized that not all kids functioned like I did and that there was something "wrong" with me. I was determined to do things my friends did, like gymnastics and soccer. Yes, I did both. Yes, I fell on the balance beam. Yes, I fell on the field. But I kept going. Adulthood is not easy with Ménière's disease. But childhood with Ménière's disease? It shouldn't happen. Ménière's disease was still not an option or even discussed because of my age. I was 10 when my mother's best friend was diagnosed with Ménière's and recommended a doctor at the ear clinic. My mother’s friend and I always had similar quirks, after all. I went and, just like that, I was diagnosed—officially this time. Six years of being “just a little different" instantly explained. But also, just like that, there was the realization that not a whole lot could be done. It was not very common to be a child with Ménière's disease—in both ears. I entered a remission phase at 19 and I'm now 26 with two kids. I still have Ménière's and I will never know what it's like to not be dizzy. I still experience the dreaded ringing and fullness. I'm still incredibly sound-sensitive and I still have days where I wonder how I'm going to get through it with my kids. I tell my story for parents that might be going through Ménière's with their children. I tell it for people that read my words and can relate to every single one. You’re not alone. You’re not just sensitive to your surroundings. You’re not over exaggerating; you fight a silent illness, you navigate an alternate universe. Never stop fighting for a better quality of life. But, also, remember to share your story with honor. If you can relate, you can help impact lives of people just like you and me.